In August 2003, Stephen Sondheim responded to a question about his next project that he was interested in something like a theme and variations—possibly a musical adaptation of Groundhog Day; however, in a 2008 live chat said that "to make a musical of Groundhog Day would be to gild the lily. It cannot be improved"
Murray plays Phil Connors, an egocentric Pittsburgh TV weatherman who, during a hated assignment covering the annual Groundhog Day event in Punxsutawney, finds himself repeating the same day over and over again. After indulging in hedonism and numerous suicide attempts, he begins to re-examine his life and priorities. In 2006, the film was added to the United States National Film Registry as being deemed "culturally, historically, or aesthetically significant. Every morning the same boring day - Almost! 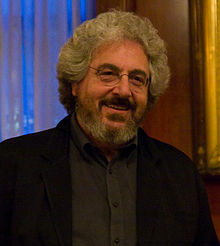 Harold Ramis (1944) has excelled in the writing and direction of Caddyschack 1980 - with a gopher! - and the unique Analyze This 1999 telling about a mafioso boss in a way no other movie has ever done. Danny Rubin (1957) wrote the original story of Groundhog Day and larger public knows him mostly from this masterpiece. 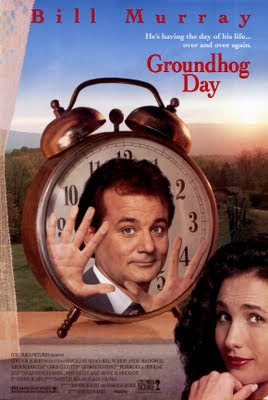 Groundhog Day is very funny - not least because of Bill Murray's Buster Keaton type serious face as Phil, the natural charm of Andie MacDowell as Rita and the ever-so-genuine 25 cents man Chriss Elliot as Larry. The movie is a comedy that really makes us all laugh but at the same time it also is a truly spiritual movie with a powerful message to humanity. It is been told that Groundhog Day is popular among Buddhists. Phil Connors' unusual life situation gives him - once he gets the point - the chance to improve his behaviour with people. This resembles the basic Buddhist idea of cyclic life where reincarnations give human soul chance to improve until it finally reaches Nirvana. A chance, though, that is not always taken by the individual not correctly illuminated. Hindu laws of Karma reflect similar idea but the teaching has stronger emphasis on the life form in next life being a reward or punishment for the things done in this life. After all, who wants to be a dung fly in the coming life? 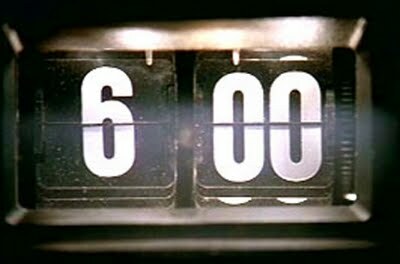 Some Catholic Christians have seen Groundhog Day movie as resembling the teaching of Purgatory, an afterlife place where there is still chance to fix what has gone wrong. Police officer Sam Tyler in the TV series Life in Mars?faces a situation that also has an air of Purgatory trying to change things in past life after his fatal car accident. Anything resembling the purifying terrible fire involved in the Catholic doctrine is, however, not present in these programs intended for the entire family. For Christians this lovely classic gives much to think and always relevant call for self-examination and repentance. We do NOT get another chance for this day. Oh if we could learn Phil's lesson and realize that every moment today is a challenge to our own attitudes and behaviour - we can make even a most boring repeating Groundhog day watching peace in Afghanistan special, or yet another repeating boring day. Maybe that soldier standing there beside us has a story that nobody has asked him or her to tell? Maybe in this line for lunch I could do something different to make the hard working army chef happier about his job? Maybe I could today memorize those lyrics or that poem or Psalm instead of just letting my brain hum empty under that helmet protecting my head against that enemy bullet? In Groundhog Day Phil gets a change to fix his mistakes and reach better results next time in the same situation. In Christian life we do not get such a fairytale change to fix what we did wrong - but we get forgiveness from God because of the sacrifice made by Jesus Christ. This has no purpose, and does not function in reality, if we also do not forget others the bad things they do to us today when they ask for it.